Nuestros clientes merecen un servicio altamente especializado y orientado a sus necesidades. Nuestro despacho de capital riesgo cuenta con un equipo altamente especializado en todos los aspectos del mercado de capital riesgo y acostumbrados a la casuística que plantean todo tipo de operaciones: LBOs, MBOs, MBIs, etc. En el desarrollo de nuestra práctica hemos adquirido gran experiencia en numerosos sectores y con muy diversas características. Araoz & Rueda maintains a consolidated reputation in the mid-cap M&A market, habitually advising Spanish and foreign clients on cross-border transactions. Popular choice for foreign law firms looking either to refer key clients to a smaller Spanish firm or to work together on transnational M&A projects. Notable activity on the buy side of M&A transactions. Client portfolio comprises entities from the life sciences, transport and TMT sectors. Interviewees report the team to be "helpful, knowledgeable, efficient and proactive." Pedro Rueda is regarded as "a strong and disciplined negotiator" who has the ability to "cut through to the point of the issue." He acts on both the buy and sell sides of cross-border M&A transactions, including splits, acquisitions and joint ventures, and is notably active in the financial and industrial spaces. The partners Pedro Rueda and Alejandro Fernández de Araoz receive strong recommendations “Focused on closing deals while ensuring customer's interest as much as possible” "It provides high-quality service and delivers on time." Under the leadership of Pedro Rueda, Araoz & Rueda’s corporate team advised leading SMS corporation Esendex on the acquisition of SMSPubli Mobile Marketing. Other clients include Clínica Baviera, Osborne Group and Richemont Group. Araoz & Rueda regularly advises international and domestic clients on mid-cap cross-border sales and acquisitions. Notable expertise in the pharmaceutical and healthcare sectors. Pedro Rueda consistently attracts superb praise for his work on mid-cap M&A mandates. "I can pick up the phone and call Pedro and he's 100% up to date on every bit of advice we have had," says one interviewee, while another adds: "He's involved in everything and can spot issues in the contracts in seconds." Sources also draw attention to his English language skills and his experience in handling cross-border transactions. The firm maintains a consolidated reputation in the mid-cap M&A market, habitually advising Spanish and foreign clients with cross-border transactions. The team is particularly active in sectors such as pharmaceuticals, energy, media, transport and logistics. “A prompt and effective team, I find them to be technically excellent and responsive” “They have good knowledge of other jurisdictions and are great in negotiations” Corporate/M&A: Sources widely consider Pedro Rueda to be a “pragmatic and efficient” practitioner who has “great language and negotiation skills”. As head of the department, he has extensive experience in M&A, joint venture and other corporate matters. He regularly works with clients in the financial and industrial sectors. Private Equity: Compact, specialized team that routinely advises domestic and international private equity clients on acquisitions, investments and divestments. Also offers significant experience assisting venture capital entities with a range of investments. Sector expertise includes transportation, energy and healthcare. Pedro Rueda is a key contact for this practice area. Strengths: the team’s “quality, efficiency and high level of service” is singled out by market sources. The partners Pedro Rueda and Alejandro Fernández de Araoz receive strong recommendations from clients with top marks for legal expertise. Led by Pedro Rueda, Araoz & Rueda’s corporate team excels at advising foreign investors and Spanish corporations on significant transactions. Francisco Solchaga is also noted. 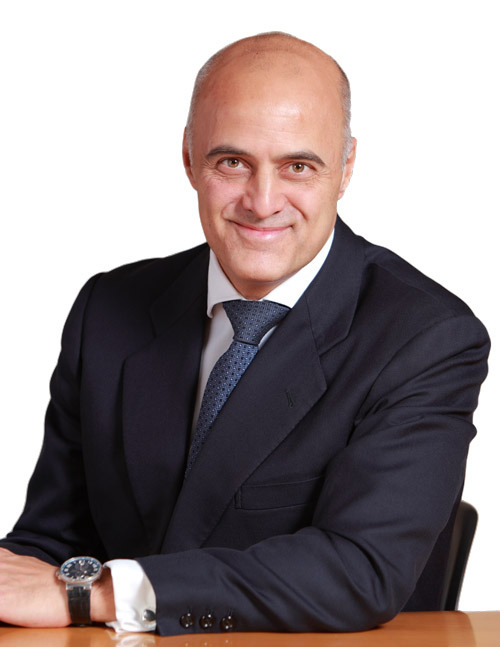 Under the leadership of Pedro Rueda Araoz & Rueda has built a significant reputation in M&A and private equity work, and regularly acts for foreign investors and Spanish corporations in significant acquisitions and divestments. Compact, specialized team that routinely advises domestic and international private equity clients on acquisitions, investments and divestments. Benefits from significant experience of transactions related to sectors such as food and beverage, energy and media. "There is a lot of involvement from senior people on the deals and I really value that”. Compact Madrid team with a consolidated reputation in the midcap M&A market. Assists Spanish and foreign corporate clients with cross-border deals. “A boutique firm with specialized lawyers who are focused on clients’ needs”. “I value the lawyers’ excellent treatment of the client and the defence of the clients’ needs”. Clients appreciate that Pedro Rueda "handles the work himself and if you call you always get an answer from him directly." He has a long-standing reputation among peers as an experienced corporate and M&A lawyer working for mid-sized and some larger Spanish industrials. One source further notes Rueda's ability to "resolve conflicts and find solutions”. Historic presence in the market that leverages formidable reputations of key individuals. Maintains relationships with venture capital firms and important international private equity houses. "I really like the quality and hands-on involvement of the partners" "I feel secure working with the firm - it has a very good image among investors and the lawyers are trustworthy and honest" Peers agree that Francisco Aldavero is "a genuine private equity specialist" who is "dedicated to his clients and hands-on". Sources add: "He knows how to read the negotiation well and is tough". Practice head Pedro Rueda has extensive experience across joint ventures, M&A transactions and sales of assets. Foreign mid-market investors and Spanish corporates instructed a team on a number of acquisitions and divestments. The group acted for 3i on the € 590m sale of its stake in Everis to NTT. Other clients include Aurum Mining and Baring Private Equity Partners. Pedro Rueda and Francisco Aldavero are the practice co-heads. Head of department Francisco Aldavero is described as "an excellent lawyer" by clients, who praise his "great combination of commercial and legal knowledge and high credibility in the market." 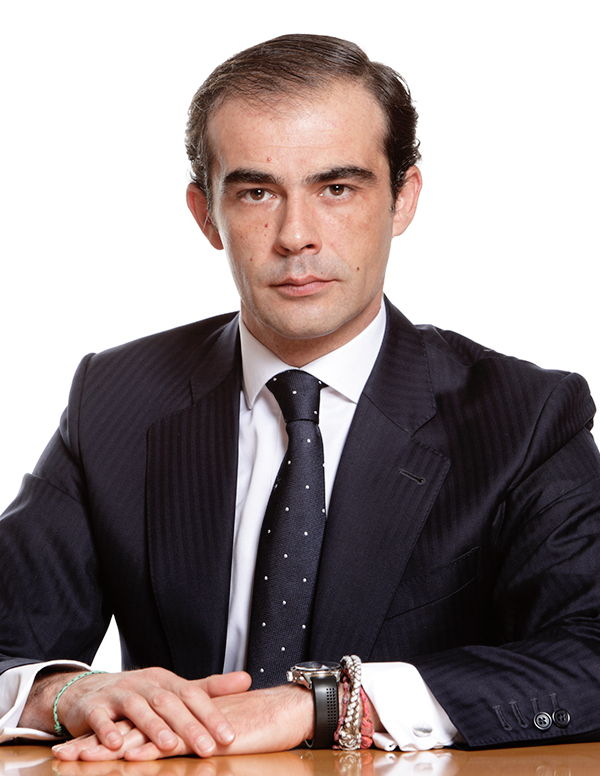 Araoz & Rueda’s name partner Pedro Rueda is ‘a very able, personable and extremely well-trained professional’. He recently advised [...]; and Francisco Aldavero assisted [...]. The two partners form a ‘reliable and knowledgeable pair’. Practice head Pedro Rueda receives strong market feedback: "He's an extraordinary lawyer. Technically his advice is impeccable, he's very involved in the deals and his professionalism and rigour are exceptional." The partners at this firm receive strong recommendations from clients with top marks for legal expertise and speed of response. Practice head Pedro Rueda impresses clients with his strong commercial sense and negotiation skills: "He has excellent chemistry with everyone, from clients to shareholders. He can see situations from everyone's point of view." Alejandro Fernández de Araoz is viewed as an excellent practitioner in all areas of corporate work, with sources saying he "does a stellar job." This firm has broad experience of advising private equity investors, particularly venture capital entities, on a variety of investments and disposals. Practice head Francisco Aldavero is described as "a knowledgeable and experienced lawyer who is very commercial." Araoz & Rueda has a busy mid-market M&A practice. Pedro Rueda and Francisco Aldavero are the names to note. This domestic firm is well known for its work on mid-market private equity deals, and has an impressive roster of clients. Sources identify practice head Francisco Aldavero as a leader in this field: "He has focused on private equity throughout his whole career. He is definitely a specialist." Alejandro Fernández de Araoz remains an integral part of the practice, particularly for the corporate expertise that he brings to deals. "Tier" 3 (de 5). Araoz & Rueda sigue dentro del "top ten" de despachos de abogados recomendado en el área. "Excellent boutique", Araoz & Rueda is "very strong in the M&A/Private equity area". Led by Pedro Rueda, "one of the best lawyers in Madrid", the firm advises on top transactions.Francisco Aldavero is also highly recommended. Araoz & Rueda, entre los mejores despachos de abogados para asesorar en el área de Fusiones y Adquisiciones y Capital Riesgo (tier 3 de 5). Sources say: "Excellent service from a knowledgeable and very fast team. The lawyers know what they must concentrate on and how best to structure and negotiate a deal." "Dynamic approach to problem solving". "They have also cross-border M&A expertise". Client enthuse that partner Francisco Aldavero "has a lot of private equity experience and focuses on the key aspects of each transaction. He is proactive and anticipates the problems we might face" say clients. Araoz & Rueda provides the kind of service that can draw clients away from the bigger firms". "Working with Araoz & Rueda was excellent",says one client. "Alejandro Fernández de Araoz and Pedro Rueda were very good, well connected and bright". It is as good a firm as you can get in the local market. This compact Madrid firm has a consistently strong reputation for Spanish and international private equity work. Clients have the highest praise for the practice, emphasising above all the impressive level of partner time devoted to each case, and the lawyers´ deep knowledge of the field. "They are real experts in private equity, they know everything about it". Partner Francisco Aldavero is readily identified by peers as one of the top names in the field. Partner Alejandro Fernández de Araoz is present mainly on the M&A aspects of private equity work, and is lauded as "extremely focused and intelligent." "A firm where you feel like the lawyers are close to your company, understand your situation and are working with you as a team",interviewees say. Pedro Rueda is lauded for "being so easily able to put himself in the client´s shoes", while Alejandro Fernández de Araoz is respected by peers as "one of the best generalists in the market". Francisco Solchaga is a younger partner also recommended who has caught the eye of several clients. "The team is excellent in all aspects." Under "tough and skilled negotiator" Pedro Rueda and Francisco Aldavero, who is praised for his "excellent industry knowledge", Araoz & Rueda is praised for its "clear and to the point advice" and its ability to "understand points from a technical perspective and in relation to its clients´ needs." Francisco Aldavero and Pedro Rueda, are praised by peers for their strong work. "They are the two stars of the firm," comments one rival. "Their quality of work is great". Clients praise the close involvement of partners in the assignments. "They have very good partners in Alejandro Fernández de Araoz, Pedro Rueda and Francisco Aldavero, and clients very much like them for their commercial vision and legal acumen". This Madrid firm is one of the most active players in the private equity arena, and is “appreciated by clients for having all the flexibilityof a small firm, which means dedicated partner attention, and the ability to build long-term relationships with clients”. Francisco Aldavero is hailed by sources for his “incredible experience and efficiency – he knows private equity inside-out”. Meanwhile, Alejandro Fernández de Araoz is praised for his “strong negotiation skills and solid technical abilities”. This is a “splendid corporate firm that houses fantastic lawyers” interviewees say. It provides “tailor-made solutions” and also has a “striking track record for both mid-sized and large transactions”. Interviewees further highlighted its proficiency in the private equity field. Versatile lawyer Alejandro Fernández de Araoz is a “fantastic adviser for any corporate matter and is tough in negotiations.” Pedro Rueda “knows the market like the back of his hand and can adapt to his client’s needs”. Generally regarded as “one of the best corporate boutiques in Spain”. Arguably the market’s most admired small firms, Araoz & Rueda is widely regarded as "Spain’s finest corporate boutique, constantly punching above its weight". Name partnersAlejandro Fernández de Araoz and Pedro Rueda are the firm’s best-known corporate stars. Corporate partner Francisco Aldavero is also regarded as "a true corporate lawyer in the traditional sense, he is constantly there when you need him, and a perfect gentleman". Araoz & Rueda is arguably the most admired of the smaller corporate firms; “a fantastic firm, they have managed to build up a solid reputation and establish themselves as a player at the top of the market”. Regularly punching above its weight, the firm wins praise all round, with name partners Alejandro Fernández de Araoz and Pedro Rueda standing out. "Pragmatic negotiators who are able to come up with imaginative solutions". This team earns client commendations for the calibre of its top lawyers. It maintains an active and constant presence in mid-sized private equity deals, often assisting venture capital entities. Sources are full of praise for the team’s combination of "excellent quality and competitive fees". Francisco Aldavero is described as a “serious and proactive professional who knows his clients inside out, and has an excellent understanding of the economic landscape” Although best known as a corporate lawyer, Alejandro Fernández de Araoz is also an esteemed presence in private equity. Observers say: “He is highly esteemed from start to finish, and has a solid grasp of the sector”. "Solid transactional boutique with extremely good M&A partners and a very strong presence in the private equity market". Clients commented on their total satisfaction with Araoz & Rueda’s legal advice, which is defined by its lawyers’ "professional attitude, efficiency and careful preparation". The Lawyers: "Technically brilliant". Alejandro Fernández de Araoz is “permanently focused on the clients’ best interests - he provides a personalised service and ensures a fast response at all times.” The “forceful and hard-working” Pedro Rueda is known for his “fantastic negotiation skills and experience” in the M&A market. The firm receives consistent praise from its clients for the quality of its work. Francisco Aldavero and Pedro Rueda are real leading lawyers for their practice, while Alejandro Fernández de Araoz is described as "hard working with a good knowledge of the law and a charming negotiator – very to the point". Private Equity: This mid-sized transactional firm “continues to improve its position in the private equity arena.” In what observers describe as “an extremely successful year,” the firm “has been involved in top deals and has moved its practice one step forward”.Francisco Aldavero has “a profound knowledge of the legislation applicable to private equity transactions” and “he is able to optimise resources and focus on the important commercial and legal issues that ensure the success of a transaction”. Observers describe the firm as a “terrific independent M&A and private equity boutique, comparable to the top US transactional outfits.” An “extraordinary commercial profile, first-class quality of advice and impressive track record”. The lawyers: “superb and vastly experienced M&A lawyers who are permanently focused on closing the deal” say interviewees. Araoz & Rueda is well known as a generalist corporate law firm, and is extremely active in M&A and Private equity. “Araoz & Rueda is strong because it is one of the few independent Spanish firms” said one lawyer in our interviews. Araoz & Rueda is one of the most prominent smaller corporate firms in Spain. Highly respected partners Francisco Aldavero and Pedro Rueda have been involved in some of the most significant transactions, involving both listed and non-listed companies.